The one to watch in this race is Patrick Carty of Fryeburg. Carty has posted some strong times this year and will continue to do so in Poland. Last week Carty ran at Manchester in the Small School Race and placed 21st clocking a 17:37. A week before, on his home course, Carty placed a strong 2nd running under 17 in a 16:57. Also look for Carty’s teammate TJ Rose. Rose will look to drop his time more at Poland. Rose ran an 18:17 last week. There’s no doubt Fryeburg will coast to a win this meet in a fashionable perfect score over Poland and Sacopee. Fryeburg averaged an 18:45 with a 1-5 split of 2:03 in Manchester and an even faster 18:03 the week before. In the girls race, Anna Lastra, the junior from Fryeburg, will look to run away with a win. Lastra has been a top competitor in the Conference, she was second to Hannah Austin on her home course and second Grace Cowles of Yarmouth. Lastra PR’d on her home course two weeks ago with a 20:35 and looks to improve off that. Looking to chase down Lastra is her teammate, Emily Carty. Carty, a freshman, has clocked already a 21:31 and seeking to improve her times off that. 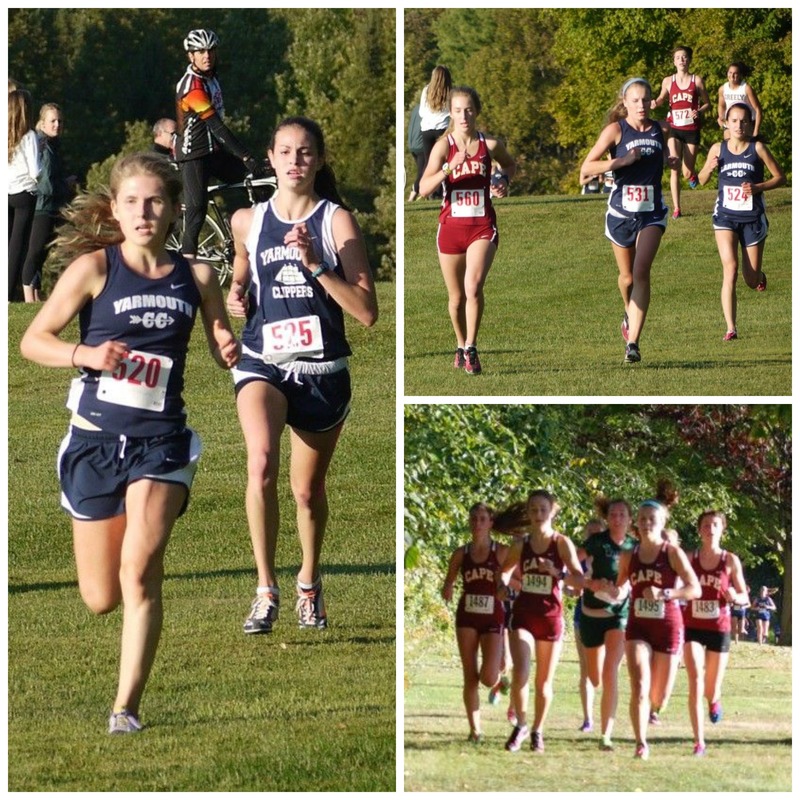 Like the boys, the Fryeburg girls will win and could potentially run perfect score. That’s if Samantha Halmos of Poland doesn't break up the Fryeburg pack. Fryeburg averaged 22:00 on their home course with a 3:06 pack, if they could keep the pack tight, Fryeburg will be sure perfect score Sacopee and Poland. The York team going to save their varsity for Festival the next day, so it’ll be up the back 7 to keep York’s perfect season alive. Now who’s leading the way for these gentlemen? Who knows, their pack is so tight with so much depth, that its almost impossible to say who’s in their top 7. Looking to break up York’s pack will be Ben Wright and Wesley Moody of Wells. Moody and Wright both PR’d at Fryeburg two weeks ago, running 18:08 and 18:10. Wells will look to challenge York all the way to the finish, but York will get the better of Wells. Even without York’s varsity, they’ll still be strong enough to run fast times. 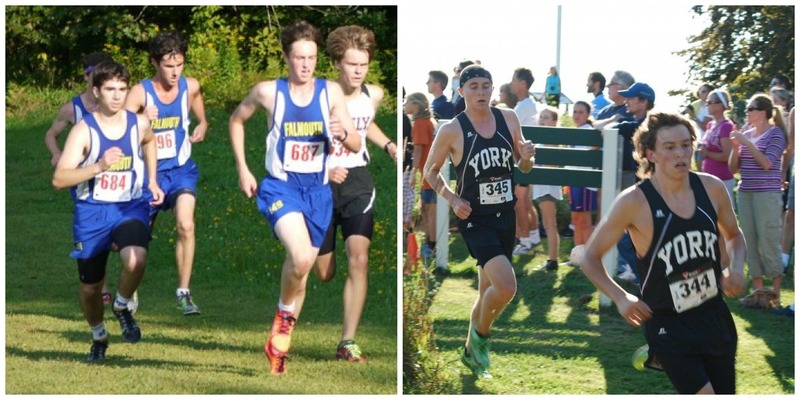 On their home course last week, York put 9 guys in front of Cape’s #1 runner in the span of 1:02. Their top 3 went 17:27, 17:28, 17:28.10 for 3 miles. They had an average of 17:38 with a 30 second split. Here’s a fun fact: York’s next 5 had a split of :48 seconds. Without York’s lady top seven, Kennebunk could get their first win of the season. Leading the race will be Gabby Fogg of Kennebunk. Fogg has ran already ran a 20:23 on her home course once this year and will look to out perform that time. Chasing her will be Kate Macolini of Wells. Macolini clocked a 21:33 for a strong PR in Fryeburg. Without York having their top 7, Kennebunk will have a dominate race. At Gray, last week, Kennebunk had a 2:28 split with a 25:17 average. The week before on their home course, Kennebunk had a 2:08 split with a 21:40 average and will look to run faster times this week. Behind Kennebunk will be Wells, then York, and Traip. Look for the Dynamic duo, Kyle Kennedy and Mitchell Morris of Cape Elizabeth. Kennedy has posted FAST times this year like a 15:45 for 3 miles and 16:50 at Twinbrook, and if the weather is just right, he could, yet again set another personal record. Morris, the #1 Class B State Returner, was still recovering for an injury at the beginning of the season has now proved that he’s at 100% as he ran a 17:02 at Twinbrook and then a 16:30 this past weekend at Manchester as he placed 3rd in the Small School race. If the two work together they could run away from the field. Cape’s long time rival, Falmouth will be looking to chase down these two and out do them. Leading the way for the sea of blue will be Bryce Murdick. Murdick and Yachtsmen have matched up against Cape once this year and were able to put one between Kennedy and Morris, but that was during Morris’s recovery period. They’ll have a harder challenge trying to split the two up again. Aside from Murdick, look for the rest of Falmouth’s top 5, Spencer Brown, Josh Simensky, Scott Lambert, and Sean Soucy. They’re all within :56 second of each other. They’ve ran slow and difficult 5k courses this year and will look to show off what they’ve really got and what they’re really made of this weekend. Merriconeag’s young star will tackle the fast course in Belfast for the first time Saturday. Tucker Pierce is capable of running under 17, as he did on his home course in a 16:56. If he races right, and doesn't get caught up in the speed, he’ll drop his time by even more. Also to look for is Matt Malcom of NYA. Malcom got stumped at Manchester as he finished 25th with a 17:44. He looks to make a bounce back this weekend and run with the top dogs in the state. 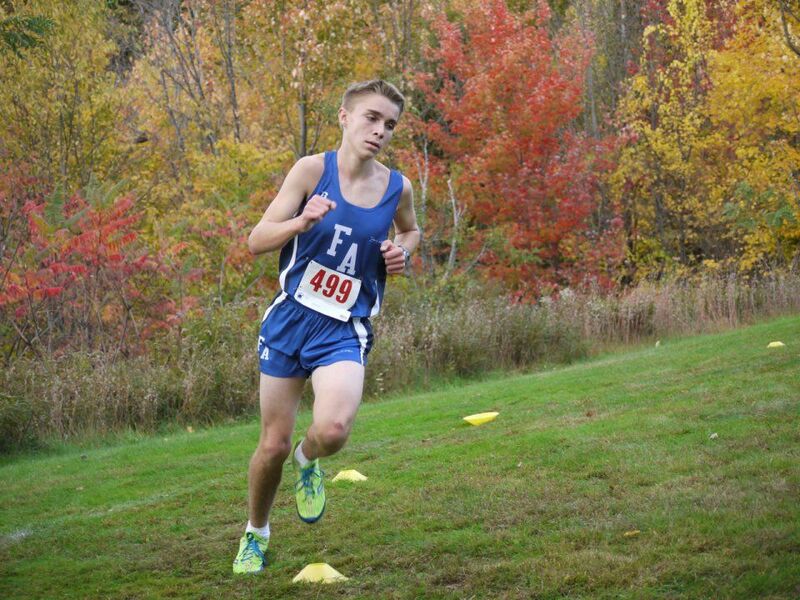 Malcom clocked a 16:49 at Merriconeag and a 16:56 in Fryeburg this season. Malcom is no stranger Belfast, as he’s been racing there since he was a freshman. Last year he was 17 flat and placed 39th, this year he has the potential to be top 25. Lastly we have Luke Laverdiere, the freshmen sensation. Laverdiere has been pushed around by senior runners as they schooled him, but Laverdiere dropped a 16:33 in his first high school 5k and could drop it more in the freshmen race. Laverdiere is destined to win the freshmen Race in a fashion, watch for him as he'll be in the front of the chase pack. When looking at teams, Falmouth is the dominate team of all WMC teams. Their depth, speed, and consistency is the reason why they’re voted #1 team in the state. Falmouth showed their strength in the opening meet at Twinbrook as their top 4 went 18 and under and then again this past weekend at very difficult Poland course. 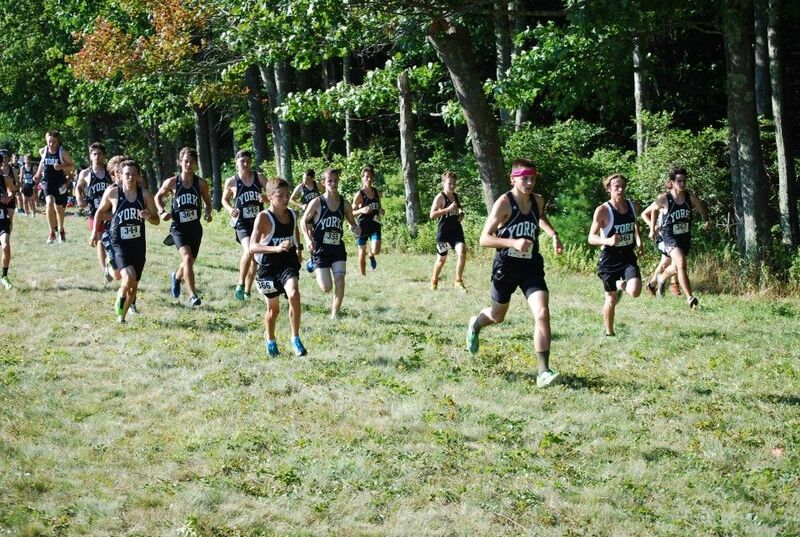 Then they displayed their speed in Cape Elizabeth as they put their top 7 under 17 minutes for a very fast 3 mile; and in each meet this year, the Yatchsmen flashed their consistency as they kept a pack time under a minute in every meet this year. The Yachtsmen have a great chance of winning Festival. Each year they've ran it, Falmouth has shown to be tough competition. For the past 4 years, Falmouth has finished in the top 5, including a win in 2011. Also watch for the tough York team with their 30 second pack. York will look post some fast times and be one of the top 5 teams in the meet. In each meet this year, York has shown their depth as they have a pack time of 30 seconds and constantly mixing up their top 5 scorers. With the kind of depth this team has, there is no doubt York can finish high in the rankings. The Cape girls look to bring a lot of action into this meet, especially after put 5 runners in an 11 second range in York last week. Leading the way for the Cape girls will be Senior Rhoen Fiutak. Fiutak has been dominate this season as she’s won 3 of her 4 meets this WMC season. Pushing her the whole way has been her teammates. Look for Samantha Feenstra, Liv Palma and Emma Shedd, as they won’t be too far behind Fuitak. Looking to chase the Cape Elizabeth pack will be rival Falmouth as Mira Wyman will lead the Yachtsmen. Wyman has had a strong first half of the season. She started the season off running 21:53 at Twinbrook as she placed 5th, then lead her team in Cape Elizabeth running 19:44 placing 4th. Just last week, Wyman won her first meet of the season on a difficult Poland course as she ran a 20:47. Keep an eye out for North Yarmouth Academy senior, Hannah Austin. Austin has been running well in her final season of high school cross country. She’s ran a seasonal best of 19:46 and looks to set a personal best this weekend. Last year Austin placed 11th overall with a time of 19:27. She’ll be looking out perform that time. Yarmouth is going into this race as the favorite from the WMC and leading the way will be Grace Cowles. Cowles has been running stellar times season, as she's been under 21 in all her 5k’s with a 20:24 PR. Cowles will be followed closely by her teammate Abigail Hamilton and Caitlin Teare. Hamilton PR’d this year on a difficult Twinbrook course and Teare has gone 20:43 this year on her home course. Keep an eye on the freshmen Race as Olivia Skillings will battle for the top spot. Skillings is the best freshman in the WMC but can she prove herself as the best in the state. Skillings has been running strong for a freshman with a PR of 19:56 and has also won last 2 races. Can she make it 3? Only Saturday will tell us. Like it was stated before, Yarmouth is the favorite for the WMC and will make a strong showing this Saturday, but not far behind is #3 Cape Elizabeth. When the two teams met at Twinbrook, Yarmouth ran over Cape Elizabeth, 37- 60, as they took second. But the Cape girls recruited a young sophomore, Midori Kwan, to fill in the missing 5 spot that the team desperately needed. Last week the Cape girls had an 11 second spread for 3 miles with Kwan. Yarmouth will be pushed all the way to the finish by Cape but Yarmouth looks like they’ll edge out Cape. Both teams will no doubt be in the top 5 of this meet.